Tesla Model 3: Order Now! 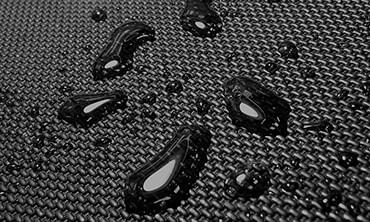 When you need maximum protection from heavy duty accidents and everyday spills, nothing matches the precision-engineered perfection of MAXpider's all-weather, custom-fit rubber floor liners, manufactured to last the lifetime of your vehicle and beyond. Designed to fit your specific vehicle, these rubber floor mats are the definition of durability. Made with a unique carbon fiber print, mud and grime will scrape away easily. The design gives a classy, look to classic floor liner designs. 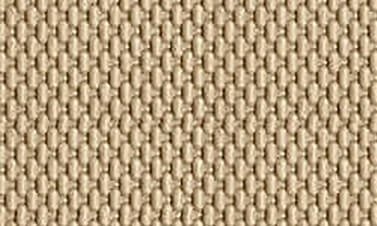 These mats are 100% environmentally friendly, have no odor and are made with non-toxic materials. The raised edges on these floor mats fit along the contours of your floors, giving complete and total protection. Mud, snow, dirt, water, grease, condiments, pet messes - nothing gets past these mats. 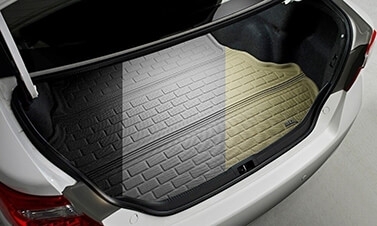 Cargo liners are available for most vehicles equipped with a trunk. Just spray with a hose. 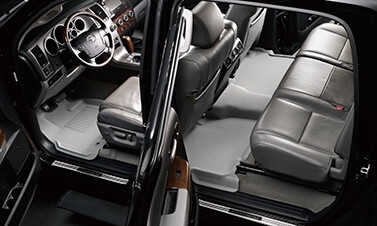 The raised edges of the floor liners keep the dirt, mud and snow contained on your floor liner, helping to keep your original carpets protected. When you need to clean the floor liners, just take them out and spray them with a hose. For a deeper clean, normal car wash detergent will work. 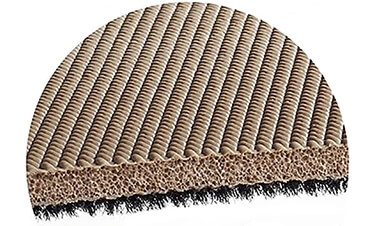 MAXpider's patented bottom layer's anti-skid technology prevents it from shifting - keeping you and your passengers safe from any mat-moving accidents without damaging your interior's original carpet. The top layer is a non-slip rubber surface layer with a carbon fiber embossed textured pattern that won't deform over time and is easy to keep clean, while the raised mat edges ensure total coverage. The inner layer is a waterproof insulated layer that provides sound and shock absorption. 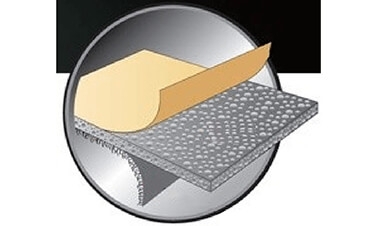 The bottom layer is a fiber anti-skid layer to help prevent your floor mats from sliding around. This product comes with the manufacturer's 3 year warranty. The warranty excludes normal wear & tear as well as abuse, misuse and damage and any issues resulting from improper installation.